Yarmouth's cultural legacy runs deep – from our thriving arts and entertainment community, to the architectural heritage that we find all around us. 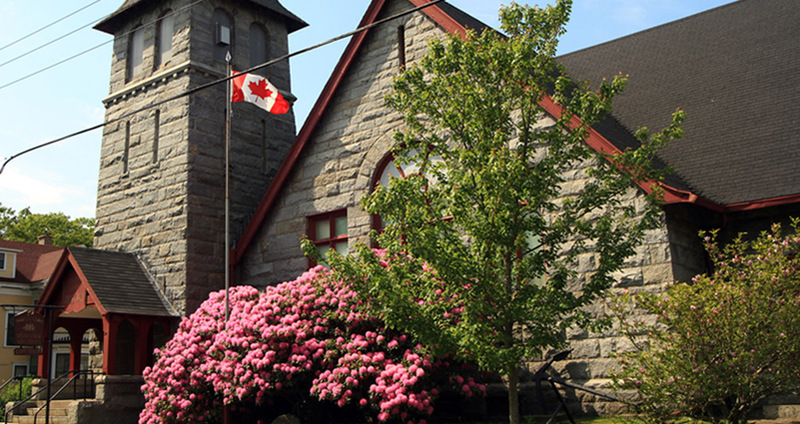 Here are just a few places where Yarmouth's history comes to life. Nestled within a neighbourhood of historically significant Victorian houses, the museum draws thousands of visitors every year. See a lighthouse lens that weighs 3,300 pounds, a stone that may have been engraved by Vikings, and extensive displays on Yarmouth's shipping history. In the museum are thousands of artifacts spanning centuries of Yarmouth history, the third largest ship portrait collection in Canada, and one of the largest costume collections in Nova Scotia. The Archives are the largest non-institutional archives in Nova Scotia, with roughly 25,000 photographs, newspapers dating back to 1833, extensive genealogical records and a research library. 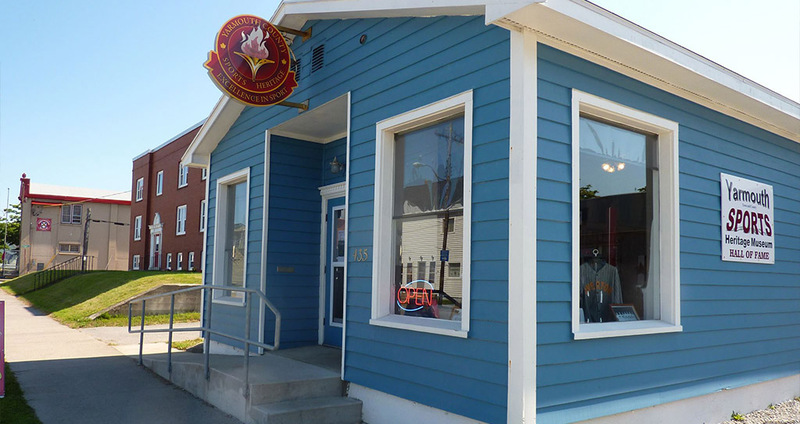 You don't have to be a firefighter to appreciate the Firefighters' Museum of Nova Scotia in Yarmouth. Antique auto enthusiasts especially enjoy the important collection of vintage equipment: the pumpers, hose wagons, and ladder trucks–not to mention the 1863 Amoskeag Steamer, one of the oldest surviving steamers in Canada. 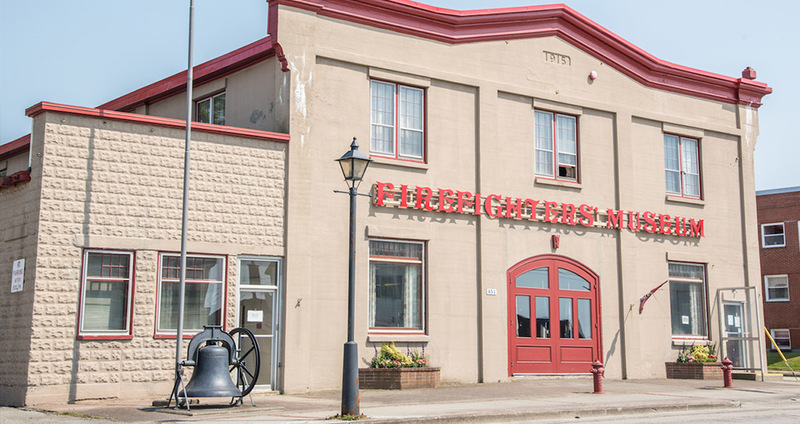 The Yarmouth Firefighters' Museum also chronicles the fascinating history of firefighting in the province through photographs, recollections, and thousands of artifacts. You'll also find antique toy fire engines, uniforms, and a huge collection of shoulder crests, patches, and badges from fire departments around the world. Step over the threshold and back in time at the W. Laurence Sweeney Fisheries Museum. Here you can explore our marine heritage through unique exhibits – a simulation of a traditional fishing wharf, complete with fishing, processing and ship repair sheds, wharf decks and even a coastal freighter. 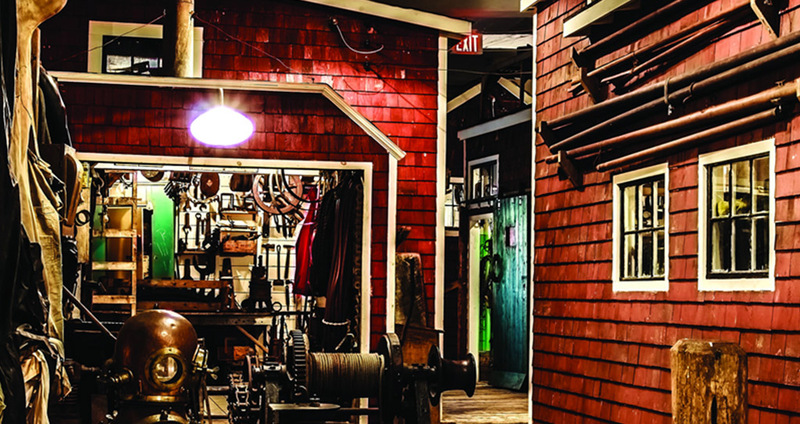 About 90 per cent of the material used in the museum is authentic, carefully preserved during the deconstruction of the original Sweeney Fisheries buildings and painstakingly reassembled to create a scaled-down reproduction of the working waterfront of Yarmouth's past. Walk across the authentic wharf planks, visit the buildings, and flip through the pages of history. Nothing is roped off in this interactive museum! 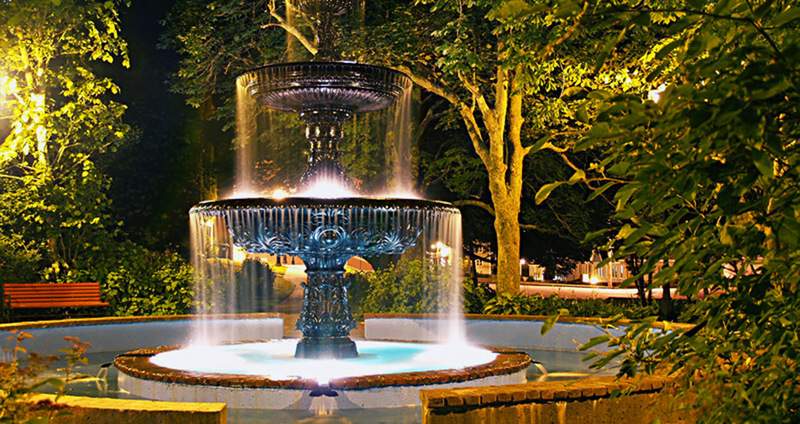 Yarmouth has had a longstanding love with public fountains, which date back to the 1800s. There are fountains located at each end of Main Street, established to provide drinking water for the local horses. The fountain at the north end of Main Street was placed by Clara Killam in 1893. The fountain at the south end of Main Street was presented by Nathan B. Lewis and his wife in 1895, designed and built in New York. The fountain in Frost Park was as popular in the late 1800s as it is today. Mountain Cemetery on Parade Street has two beautiful fountains, the oldest being placed by William Law in 1897. The other is much newer but still just as beautiful. 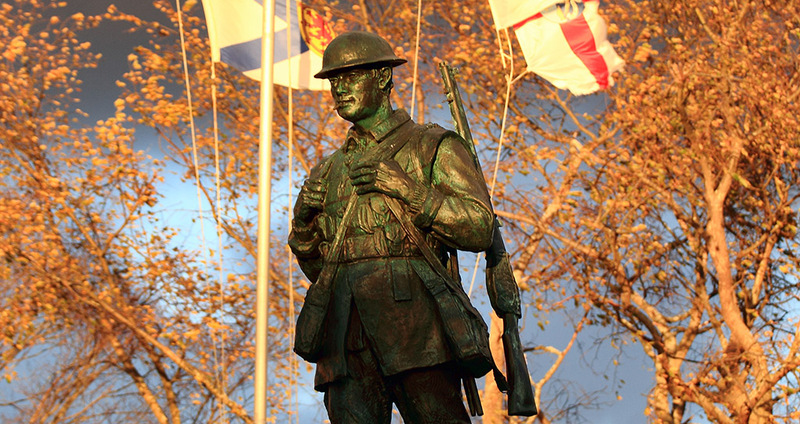 In November 1920, a banner headline in the Yarmouth Telegram read "Local Council of Women Urge War Memorial." The Town moved quickly, and in January the tasks of collecting the money for the construction and of collecting the list of names to be inscribed on the monument began. At the time of the unveiling on June 9th, 1923, there were 173 names to be put on the monument and a sum of $10,272 had been collected. A record was made of every man in Yarmouth County who fell, which included the date and place he was born, where he enlisted and where he died, and the brigade in which he was serving at the time of his death. A copy of this record was kept in a vault at the Court House. The names of World War II and Korean War veterans were added later. In the late 1800s, the shipping fleet from Yarmouth was the second largest in Canada, and its sea captains were renowned in seaports around the world. But like any large fleet, it had its share of misfortunes worldwide. 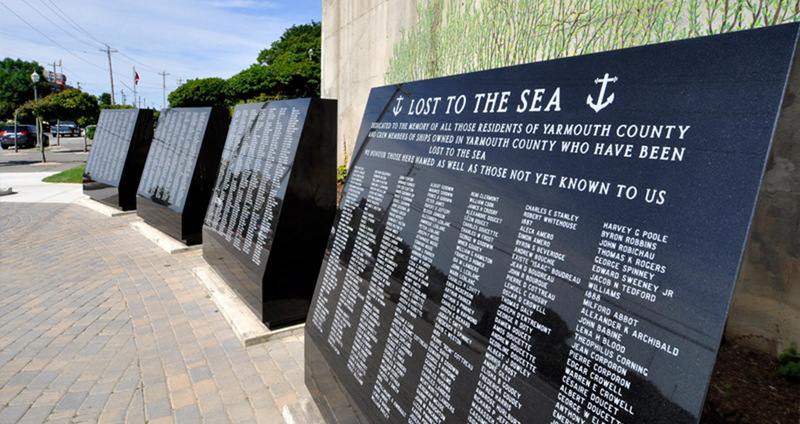 A memorial for those Lost to the Sea commemorates all the sons and daughters of Yarmouth County who have died at sea.